Recycled card bits made new. Sometimes things are just too pretty or useful to throw away. (Yes, I have a Depression-era mind-set.) 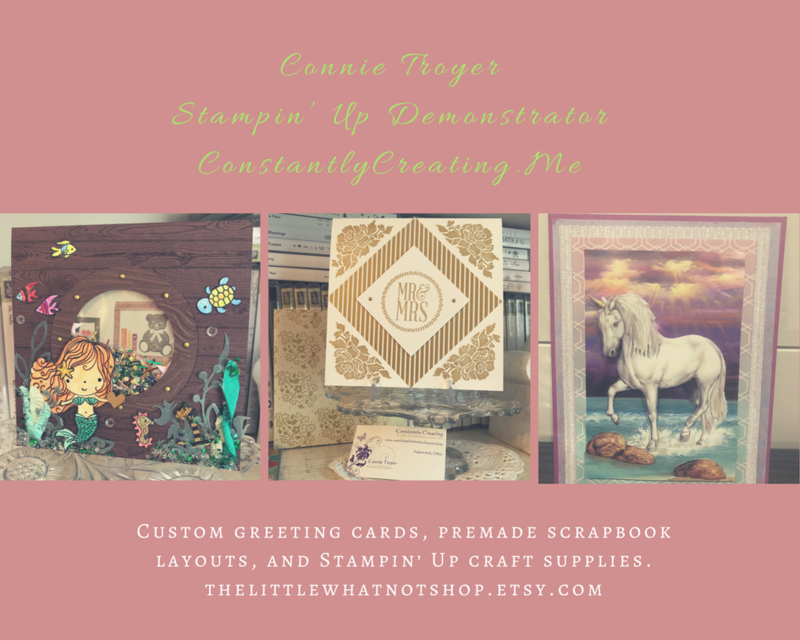 Here I used part of a printed card that had made its way to me into a little hello card, complete with a new tag, wood and resin pieces, two types of patterned paper (one being embossed and glittered), Stampin’ Up Lucky Limeade ribbon, and translucent, glow-in-the-dark Nuvo Drops.